AMMAN, Jordan (AP) — An Iraqi self-taught dancer who defied conservativism and threats ahead of his stage debut last year was among the scores killed in a massive suicide truck bombing over the weekend in Baghdad. The 23-year-old dancer, Adil Faraj, was buying clothes in the neighborhood of Karada for the Islamic holiday of Eid al-Fitr that marks the end of the holy month of Ramadan when the attack happened. The holiday begins on Wednesday in Iraq. An Islamic State bomber detonated the truck in a crowded shopping area around 1 a.m. Sunday, on a street filled with Iraqis preparing for the holiday or just seeking a nighttime break from the sizzling Baghdad summer heat before the start of their fast at dawn. By Tuesday, the death toll from the attack rose to 175 — one of deadliest in more than a decade of war and violence in the Iraqi capital. 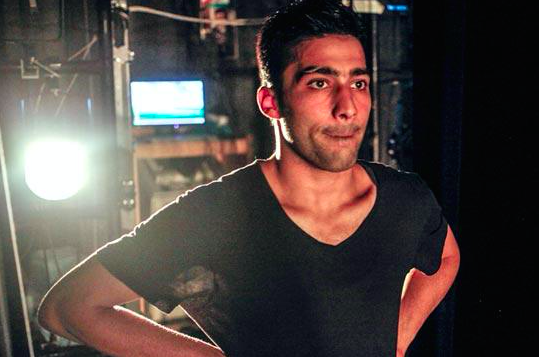 Faraj, a recent law school graduate who last year traveled to Jordan for his on-stage dancing debut, was among the victims. "I wish I had a time machine to go back and fix what happened," said Bilal, 18, Faraj's younger brother who spoke to The Associated Press by phone from Belgium, where he lives as a refugee. Faraj's body was found intact, Bilal said, and he was buried on Monday in a cemetery in the Shiite city of Najaf, south of Baghdad. At the funeral, Bilal said his father cried. His mother is inconsolable and Bilal said he hasn't even been able to speak to her over the phone, she can't stop sobbing. Faraj bucked conservative Iraqi culture to teach himself how to dance via YouTube and Skype, inspired by a Michael Jackson performance he watched on DVD. He danced to videos in his cramped family home — hiding from a society scornful of the art form and from the chaos that engulfed Iraq after the U.S.-led invasion in 2003. Then, he was discovered by the Manhattan-based Battery Dance Company and brought to Jordan to train professionally and perform for the first time on stage. In a dark hall in Amman, Jordan, under a single spotlight, he slowly moved with the haunting Gary Jules' song "Mad World" — his first solo performance. After it, Faraj told the AP in an interview that it was "like a dream." But though he said at the time that instability and conservatism in Baghdad made the city no longer feel like home, he continued to live in Iraq with his family so he could complete his studies. He also fell in love, and was engaged to be married this summer. He and his fiancee dreamed of moving to America to pursue dancing professionally. "But he didn't make the dream," Bilal said. Jonathan Hollander, director of the Battery Dance Company and one of Faraj's Brooklyn-based dance mentors had tremendous respect for the young Iraqi. They had formed an online friendship that transformed into dance lessons on Skype, organized by Hollander. "Every day of his life he was fighting some kind of battle: with his environment, his society, with the world as it is today," said Hollander. "How is it possible for someone who is living in a war zone to find a way to dance?" Faraj is survived by three brothers and his parents. "Adil just wanted to fly, to experience life to the most," said Rania Kamhawi, the director of the dance festival where Faraj performed in Amman. "I would have liked for him to fly." Associated Press Writer Susannah George in Baghdad contributed to this report.